Unlike the first printing which needed to be reserved, this print run will be sold on a first come, first served basis. Those customers who want to ensure they get a copy should purchase as soon as possible as we have a limited number of copies. 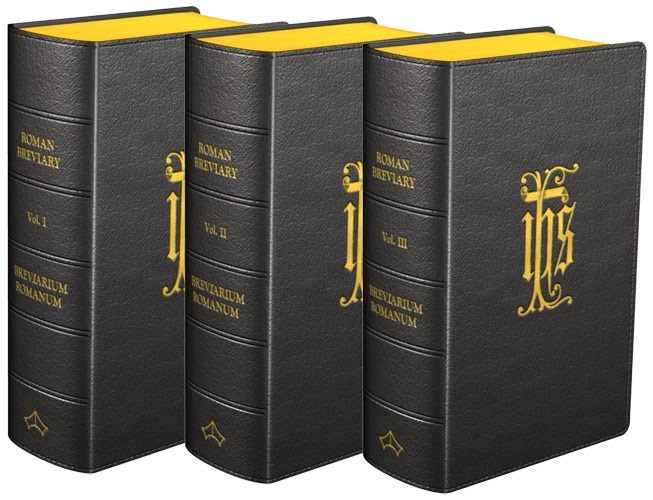 Due to the large production costs of the Roman Breviary and difficulties to forecast future demand it is not possible to guarantee that this title will be reprinted again. The GoBible Traveler and Original Edition does not interact with a PC; all of its content, over 80 hours of audio, has been downloaded onto the device. This is an audio device only. The GoBible Traveler’s interactive on-screen menu allows you to scroll easily through the Old and New Testaments and select the book and chapter where you want to begin play. Additionally, you have the option of following the GoBible Traveler’s "Bible-in-a-Year" plan for listening to the entire Bible in 365 days. The GoBible Traveler supports 36 Bookmarks so you can mark your favorite chapters or where you left off listening. Both of these editions are lightweight and come with the entire Catholic Bible as well as Rosary devotions. 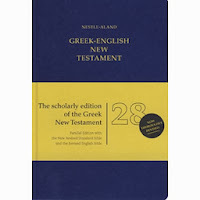 The Original Edition, though slightly bigger, has the ability to search the Bible by verse, as well as including a helpful index of popular Bible stories. This is a nice feature that allows you to go right to a particular story in the Bible, like David and Goliath. Also, you can read the particular daily readings of the day by the liturgical cycle. Both editions come with Bible-in-a-Year reading plans. The Original Edition also has a bigger screen, which may be more useful for those who have poor vision. However, the biggest advantage to the Traveler Edition is that is is so much smaller and portable. If you are a runner or plan to use it at the gym, you'll want to go with the Traveler Edition. The narrator is Stephen Johnston, who has done a number of other audio Bibles. He has a deep and distinctive voice, which you would expect from anyone who does an audio Bible. He also reads the Rosary and common prayers section as well. One of the main questions you might ask is whether it is worth the price to have this mobile device as opposed to having an audio Bible loaded on your I-Pod or I-Phone. Of course, that is up to you, but for me the answer is yes. First off, it frees up space on my I-Phone for other things, considering that the entire Bible is over 80 hours in length. Secondly, it is nice to have this specific device handy, which is very light and easily fits into my pocket or backpack. Thirdly, the ability to search the Bible by verse, not just chapter, is a helpful advantage that most audio Bibles do not provide. Lastly, since I have two young children who seem now-a-days to wake up a couple times a night, it is nice to have this on my night stand ready to go. After getting the kiddies back to sleep, it is nice to just listen to the Word of God and relax. Again, I really appreciate the portability of this product. I saw it being sold at a recent Catholic Conference my wife and I attended, so I decided to contact the people at GoBible. They were gracious enough to provide me with a couple review copies. I think this is a very nice option for those who want to hear the written Word in an easy-to-use format. It also makes a great gift idea as we get closer to the Christmas season. There were some who had confidence in themselves, thinking they had won acceptance with God, and despised the rest of the world; to them he addressed this other parable: Two men went up into the temple to pray; one was a Pharisee, the other a publican. The Pharisee stood upright, and made this prayer in his heart, I thank thee, God, that I am not like the rest of men, who steal and cheat and commit adultery, or like this publican here; for myself, I fast twice in the week, I give tithes of all that I possess. And the publican stood far off; he would not even lift up his eyes towards heaven; he only beat his breast, and said, God, be merciful to me; I am a sinner. I tell you, this man went back home higher in God’s favour than the other; everyone who exalts himself shall be humbled, and the man who humbles himself shall be exalted. Joel Watts, blogger at Unsettled Christianity, has a helpful review of the Novum Testamentum Graece, Nestle-Aland 28th Edition with NRSV/REB Greek-English New Testament including some fine photos and a video review. I wanted to introduce you to two wonderful Bibles for children that are published by Saint Benedict Press. 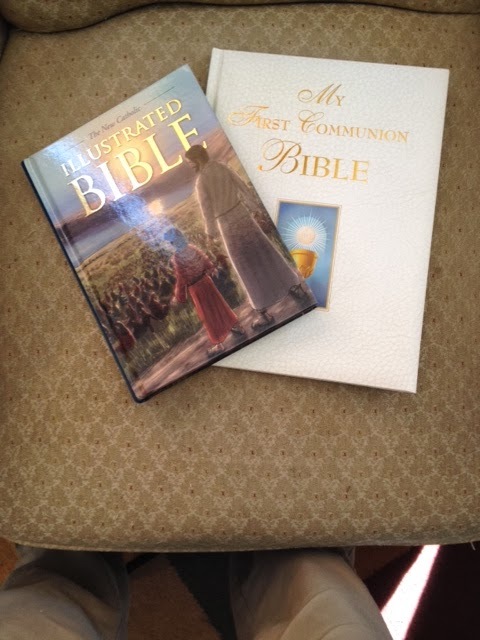 They are the New Catholic Illustrated Bible and the My First Communion Bible. Here is a little bit about both before I give some of my own comments from using them (with my daughter). Everyone should be familiar with the great heroes and stories of the Bible. From the beginning of Creation to the Last Judgement, from Noah and the Flood to the Exodus from Egypt, from the Annunciation of the Lord to His glorious Ressurection, The New Catholic Illustrated Bible tells the story of salvation in a way that will engage and inspire readers of every age. With over 100 beautiful full-color illustrations, and a faithful re-telling of Scripture by acclaimed author Amy Welborn, here is a Bible story book that you and your loved ones will turn to often, now and for years to come. Open its pages and discover why The New Catholic Illustrated Bible is a treasure that belongs in every Catholic home. Easy-to-read lay-flat binding and gold-foil details. I have spent most of my time with the New Catholic Illustrated Bible since it is something that I can read to my daughter (and my son). Amy Welborn does a great job condensing the Biblical stories into bite-sized chunks, perfectly suited for bedtime reading. The illustrations are fantastic as well. If any of you remember some of those old illustrations that always seem to come with any children's related Bible or prayer book from Catholic Book Publishing, which often seem hopelessly dated, I can assure you that these are so much better. 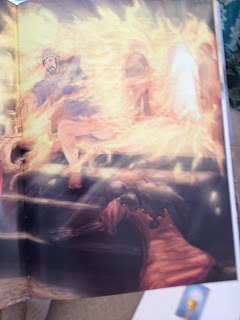 Just take a look at the image on the right of the fiery furnace scene in Daniel. So, I highly recommend this illustrated Bible, which comes at an amazingly cheap price of $16.22 as of today. The My First Communion Bible I see more as a keepsake. It too is beautifully illustrated, with gold gilded edges. It would make a great gift for any child's first communion. Thank you to Saint Benedict Press for these review copies. It is for thee to hold fast by the doctrine handed on to thee, the charge committed to thee; thou knowest well, from whom that tradition came; thou canst remember the holy learning thou hast been taught from childhood upwards. This will train thee up for salvation, through the faith which rests in Christ Jesus. 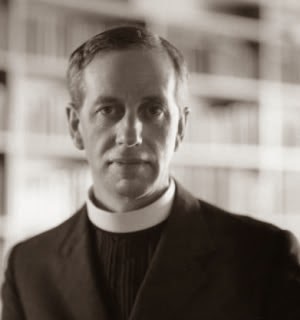 Everything in the scripture has been divinely inspired, and has its uses; to instruct us, to expose our errors, to correct our faults, to educate us in holy living; so God’s servant will become a master of his craft, and each noble task that comes will find him ready for it. 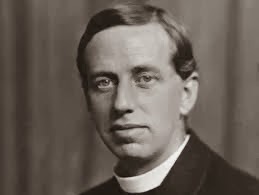 I adjure thee in the sight of God, and of Jesus Christ, who is to be the judge of living and dead, in the name of his coming, and of his kingdom, preach the word, dwelling upon it continually, welcome or unwelcome; bring home wrong-doing, comfort the waverer, rebuke the sinner, with all the patience of a teacher. So down he went, and washed in the Jordan seven times, as the servant of God had bidden him. And with that, his flesh healed up, and became like the flesh of a little child, and he was clean. So, coming back with all his retinue, he stood there in the presence of God’s servant; I have learned, he said, past doubt, that there is no God to be found in all the world, save here in Israel. And now, he said, pray accept a gift from thy servant, to prove his gratitude! As the Lord I serve is a living God, Eliseus answered, I will accept nothing from thee; nor would any pleading bring him to consent. At last Naaman said, Have thy way, then, lord prophet, but grant me a gift instead. Let me take away with me part of the soil of Israel, as much as two mules can carry; my burnt-sacrifice, my offerings henceforward are for the Lord only, and for no alien god. One of my favorite Biblical passages, within one of my favorite Biblical books is Tobit 8:5-8. So, when I purchased the Kindle edition of The Message: Catholic/Ecumenical Edition this was the first passage I went to check out. Here is is, followed by the NRSV. And remember, the Deuterocanonicals are translated from the Nova Vulgata. "Blessed are you, God of our fathers! Blessed be your name forever and ever! May the heavens and all your creatures bless you from age to age! You made Adam and gave him Eve. From both came the human race. you said, did you not, that it was not good for man to be alone? That he needed a helper, a look-alike? And so you provided. Now I take this woman, my cousin, as my lawful wedded wife, not to quiet my lust but to awaken my love. Keep our best interests at heart. We want to have children and grow old together." "Amen," he said, and "Amen," she said. 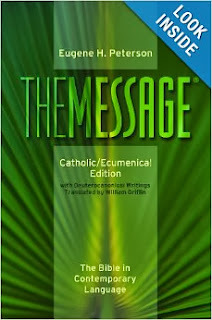 The Message: Catholic/Ecumenical Edition is now available for purchase. You can also view some actual pages, including an intro from Eugene Peterson and Deuterocanonical translator William Griffin here. An interesting note from William Griffin's intro is that he did not translate from the Greek or Hebrew for the Deuterocanonicals, but rather the Nova Vulgata. So there you go, our first translation into English from the Nova Vulgate. How fascinating! The paperback is available on Amazon for a little over $20, while the Kindle edition is $7.99. I am hoping to acquire an edition in the coming weeks for review. For more info, head over to the ACTA Publications site or my interview with the publisher. From Salesian Info Agency: "On the occasion of the opening of the Year of Faith, the Salesians of the Province of China published an English language edition of the Gospel of Mark in comic form, taking cues from the original version of the book in Mandarin. 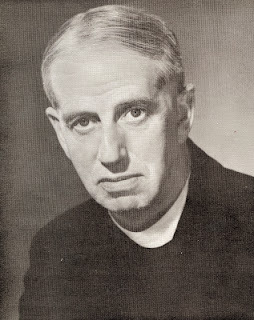 The new edition, comprising two volumes, had already been completed long ago under the guidance of the Salesian, Fr Dennis Martin, who died in 2006. Assisted by a group of enthusiastic pupils, Fr Dennis had supervised the production of the new version, which reiterated previously published volumes from Vox Amica Press of Hong Kong, changing the lyrics based on the Gospel of Mark in the New American Bible. Now, in response to the invitation of Pope Benedict XVI to renew the commitment to Christian proclamation, the Province "Maria Ausiliatrice" gave to the printers the two volumes in English. In doing so, the Chinese Salesians intend, in the first place, to offer young readers the opportunity to get to know the figure of Jesus, through the simple and compelling comics form; and secondly, to pay their last respects to the Salesian missionary life of Fr Dennis, appreciating a piece of his legacy. The two volumes chronicle the life of Jesus with bold graphics and great fidelity to the Gospel account. Flipping through the pages is a special character: "Little Priest", who has the task of guiding the readers on their journey to understanding the Good News. The comics are one of the most popular media among young people around the world, and this helps to make this work a useful tool to tell the story of Jesus. The new English Edition already has various famous admirers: Salesian Cardinal Joseph Zen Ze-Kiun, Bishop emeritus of Hong Kong, hoped that "this book might arouse the interest of people to explore the Gospel and the Kingdom of heaven", while Fr Steve Ryan, Coordinator of Youth Pastoral and young adults of the Province of the Eastern United States, recommends this book to parents, teachers and instructors. The book is on sale in major Catholic bookstores in Hong Kong; for those who want to buy it elsewhere or receive further information try osenquiry@vap.org.hk"
I was fortunate enough to get a copy of this two volume comic. It is truly a beautiful book, which covers the entire Gospel of Mark. I dabble a little bit into comics from time to time, so I am pretty comfortable reading them. The art for this comic tends to be a bit more in the style of Eastern manga than what you would typically see from a Western comic. It includes a Foreword by Cardinal Joseph Zen Ze-Kiun, emeritus bishop of Hong Kong, as well as an introduction to the Gospel and a Map of the Holy Land. If you are interested in obtaining a copy for yourself or a friend, you can email osenquiry@vap.org.hk for more information. They are very helpful in placing your order in a secure way. It will, however, take at least five weeks for the comic to arrive from Hong Kong. It was well worth it! If you are looking for something in a more Western comic style, I highly recommend A Child is Born by Billy Tucci. It is simply stunning. Also, it is interesting to note that Billy is Catholic. Many of the other comic/manga Bibles on the market are done by Protestant authors. They are certainly good as well, but it is always great to support Catholic authors. Tucci's book makes a great Christmas gift. In case any of the Catholic Bibles Blog readers were interested in obtaining a set of the Gospel of Mark comics from Vox Amica, I just wanted to mention Kenneth and Margaret over at the Fountain of Love and Life bookstore up in Canada. I reached out to Clare Chan in HK about purchasing a couple of sets of the comics, and she recommended that I go through FLL in Canada. The Fountain of Love and Life bookstore was very accommodating and helpful throughout the process of ordering a set of the Gospel of Mark comic edition, and it looks like they have quite a selection of Catholic books/videos. You can check out the bookstore athttp://bookstore.fountainofloveandlife.org/ . "Lord, must I ever cry out to thee, and gain hearing never? Plead against tyranny, and no deliverance be granted me? Must I nothing see but wrong and affliction; turn where I will, nothing but robbery and oppression; pleading at law everywhere, everywhere contention raising its head? Write down thy vision, the Lord said, on a tablet, so plain that it may be read with a glance; a vision of things far distant, yet one day befall they must, no room for doubting it. Wait thou long, yet wait patiently; what must be must, and at the time appointed for it. Foul air the doubter breathes; by his faith he lives, who lives right." "How long, O LORD? I cry for help but you do not listen! I cry out to you, "Violence!" but you do not intervene. Why do you let me see ruin; why must I look at misery? Destruction and violence are before me; there is strife, and clamorous discord. Then the LORD answered me and said: Write down the vision clearly upon the tablets, so that one can read it readily. For the vision still has its time, presses on to fulfillment, and will not disappoint; if it delays, wait for it, it will surely come, it will not be late. The rash one has no integrity; but the just one, because of his faith, shall live." If you live in the Michigan/Ohio/Indiana area I highly recommend this one day conference. You can find out more about it here, including how to register. It is full of great speakers, music, as well as Holy Mass and opportunities for Confession! 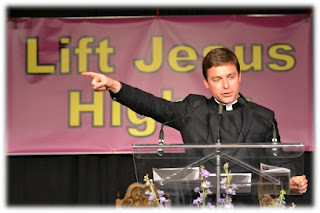 Catholic Diocese of Toledo & Renewal Ministries of Ann Arbor, MI are sponsors of Lift Jesus Higher. Both are dedicated to proclaiming Jesus Christ in the power of the Holy Spirit through renewal and evangelization all over the world. Fr. Jonathan Morris, of the Archdiocese of New York and Religion Commentator for the Fox News Network will be the keynote speaker. Fr. Jonathan Morris will be joined by the dynamic Renewal Ministries speakers Ralph Martin, Sister Ann Shields, and Peter Herbeck. This one-day event has it all! The day begins with praying the Rosary, participating in the Sacrament of Reconciliation in the afternoon and ends with celebrating the Holy Mass with His Excellency, The Right Reverend Bishop Leonard Blair for the Diocese of Toledo & concelebrated with many Priests & Deacons. I am sure that many of you have seen on TV or other media outlets the various child sponsorship programs that are out there. Many of them, like World Vision and Compassion International, are run by Protestant ministries. I am grateful for the work they do in the many countries they minister. However, I would like to let you know of a Catholic child sponsorship program that my wife and I are involved in. It is run by the PIME Missionaries, who are Catholic religious order of priests and brothers who commit themselves to lifelong missionary service, especially to non-Christians. (PIME stands for the Pontifical Institute for Foreign Missions in Latin.) Founded in Italy in 1850, PIME is an International Society of Apostolic Life with about 500 members in 17 countries. PIME's priority is the proclamation of the Gospel. They are actively involved in human development and the promotion of justice and peace. Their ministries include the foundation of schools, hospitals and clinics, orphanages, and the pastoral care of newly founded Catholic communities. One of the best ways you can help them out is by sponsoring a child through their Foster Parent Program. Foster Parents pledge $15 a month to help support a child in the missions. Yes, for just 50 cents a day, a child will be provided with many of the necessities most of us take for granted. But most importantly, that child will know that someone loves and cares for him or her. One little boy or girl will have hope. This sponsorship program is near and dear to both my wife and I for two reasons. First, the PIME Missionaries headquarters in the USA is located in Detroit, where we live. Over the years, we have come to know a number of the PIME priests and they are very humble and holy men. Secondly, our foster child is from India and her name is Rizwana. Although we will likely never be able to meet her, we consider her a part of our family, even if from a distance. As you know I have never, nor will I ever, ask for donations for this blog, but I would greatly appreciate your consideration in becoming a foster parent. If you are not able to at this time, please pass along this program to someone who you think might be able to. Thank you for your consideration! My name is Joshua. I stumbled on Timothy's blog a few months back as I was researching a product. I have been a pretty loyal reader ever since. I'm Protestant (Southern Baptist for the most part). In the almost 20 years I have walked with Jesus, I have used many versions ranging from the colloquialism of The Living Bible to the traditional language of the KJV and RSV-2CE. Out of all these, one is really special. 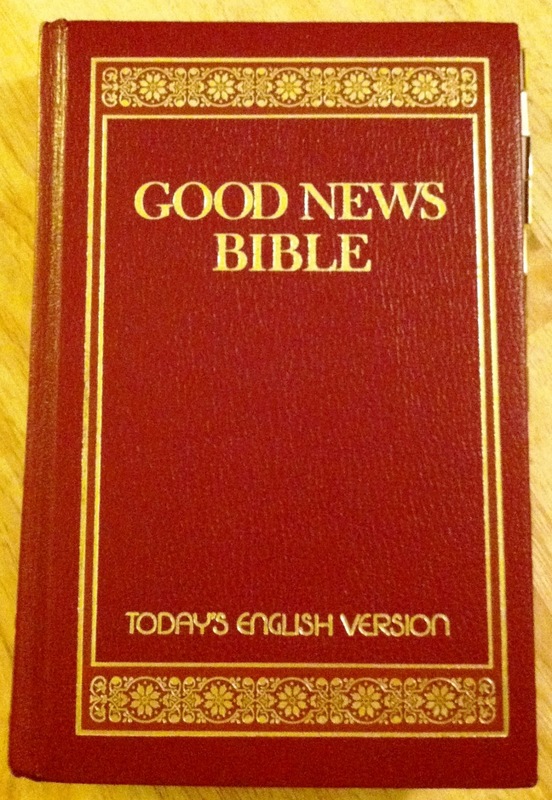 I became acquainted with the Good News Bible* (GNB) 20 years ago. This occurred while on a trip to see relatives in Tennessee. While I was there, I saw a box of Bibles. I asked if I could read one during my stay. 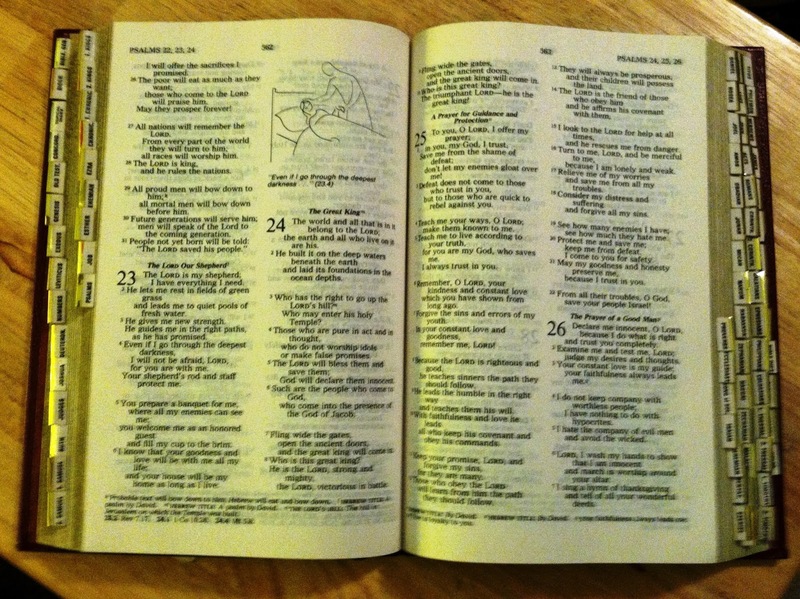 Reading it helped me see that the Bible was a special book and not just another thing to read. Before this, the only Bibles I had were the aforementioned KJV and Living Bible as well as the New International Version (NIV). After this, I started going to a Baptist church and got saved, giving my life to Christ. That Christmas, I got my own copy. You might be asking yourself: Is there a need for the GNB when we have other versions such as the NABRE or NIV? I say yes and here’s why. It’s easy to understand. (I'm not saying it’s the easiest to understand. That title would go to the International Children's Bible. This is a Protestant translation written at a 3rd grade reading level.) This understandability helps clarify passages that can be difficult at times. On the down side, this isn’t a version suited for liturgical use or study. The second reason I like the GNB is the illustrations by Swiss artist Annie Vallotton. They are engrossing, drawing you into the text. For example, I’m reading through Ecclesiastes. At Ecclesiastes 1:14 there is a drawing that shows Solomon showing regret. This helps me to better understand what’s being said. The last reason I like the GNB is that it’s a version for everyone. It is available with the Protestant canon and in a Catholic edition. If you desire to get a copy, I would look for the 1979 edition. A 1992 revision added gender-inclusive language. In short the GNB has been a blessing to me! I want to thank Timothy for allowing me to share my story and thoughts. 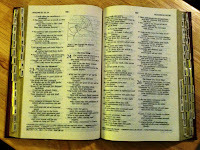 *The Good News Bible is known as the Good News Translation (GNT) in the United States. Thank you Joshua for sharing your story. I am always looking for additional entries in the monthly "Your Bible" Series, so please send an email to mccorm45(at)yahoo(dot)com if you are interested.